by Jane Chuck. : Test drive anyone? Hi everyone! It's going to be a brand new year in few days, are you guys excited? I'm pretty excited as I can already feel 2015 is going to be a bigger & better year! I guess most of my old readers who started reading my blog since young are graduating from college/uni already, am I right? Anyway, anyone of you is interested to join me for a test drive with the New Ford Fiesta 1.0L Ecoboost? If you haven’t heard of it, the New Ford Fiesta 1.0L Ecoboost is powered by the triple award winning International Engine of the Year (2012, 2013 & 2014) which comprises of a 3-cylinder turbo charged engine paired with the Powershift ® six speed automatic transmissions. One of the smallest yet most powerful engines in its class, you can enjoy a smooth ride with power and acceleration at 125ps and 170 Nm. You will be surprised how this fuel efficient 1.0L engine only uses 5.3L/100km. 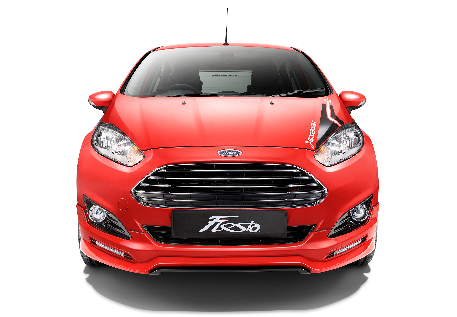 Fuel-saving and speed; you got the best of both worlds with the New Ford Fiesta 1.0L EcoBoost! On top of that, it is also fitted with 7 airbags all around to also ensure a safe and smooth ride. 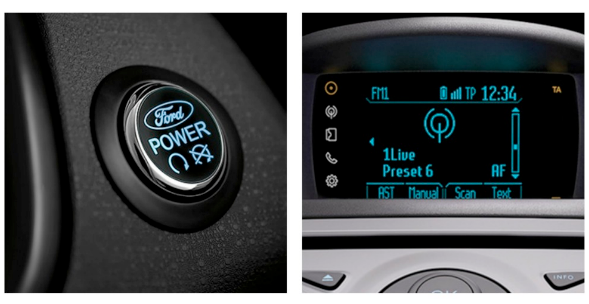 To top it up with the already attractive features, the new Ford Fiesta 1.0L Ecoboost boasts upgraded smart technologies, including the hands-free in-car connectivity system Ford SYNC™. This is a really cool feature because for a music lover like me, the car can easily recognize my voice and I can just command the car to play songs from my phone or even my iPod! And you definitely want to keep your hands off from your phone when you’re driving; Ford SYNC definitely comes in handy for hands-free calling. The Smart Keyless Entry on Ford Fiesta adds so much convenience to people like me, who’s always looking for car key in my bag, which is full of other stuff. Now you don’t need a key to open the car door, instead by just standing next to it and press on the button on the door handle; press on the Push Button Start to start the engine and off you go! 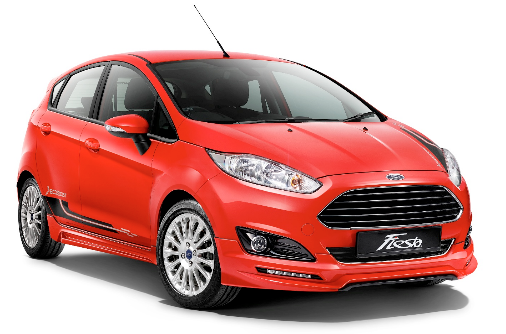 Don't you love the Fiesta 1.0L Ecoboost in bright red? Stylish in a sporty full body kit, fitted with Daytime Running Lights, Auto Headlamps and Auto Rain Sensor for a chic and safety ride in the city. Only available for 6 lucky readers! So make sure you fill it in correctly!